NOTE: This is NOT a Posing Guide! Very different from typical Child Posing Guides, this book explores some of the different personality types and characteristics that children possess, and how to best interact with them based on how they express themselves to capture them just as they are without falling back on “safe” posing. 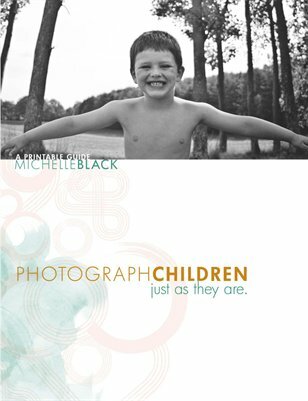 The book also covers things like confidence building, beautiful image examples throughout, and strategies that Michelle has developed over the years as a result of her experience with childhood portraiture. A workbook and inspiration guide all in one! Untrain your mind from posing, and learn to watch, listen, and interact with this very down to earth guide.